The compensation to relatives of the victim for the loss of family relationship according to Italian Law. The damage suffered by the relatives of the victim of a fatal car accident, can be defined as the damage of loss of family relationships. As repeatedly noted by the Italian Supreme Court, pursuant to the European Convention of Human Rights and the Charter of Nice, every person has the right to a private and family life, parental care and suppor. Also the Italian Constitution guarantees full protection for the fundamental rights under Articles 2, 29, 30 and 31, namely the moral integrity, marriage, family solidarity and relationship. Therefore, each member of the family has the right to a fair compensation for the loss of family relationship, depending on the degree of family relationship, the age of the victim and the relative, the composition of the family, the cohabitation, the individual personalities, their ability to react to the trauma and any other circumstance of the case. While the biological damage of the victim (the loss of life) will be recognized to the family members only under certain conditions and according to inheritance law, the damage of loss of family relationship is a personal right of each family member. Therefore, in order to determinate the amount due to each relative of a fatal car accident's victim, the Italian judge must take into account several factors, such as the age, the degree of relationship and the others mentioned above. It is not necessary that the family members are living together, but if the victim and the relative lived together in the same house at the time of death, the relative will be entitled to an higher compensation. 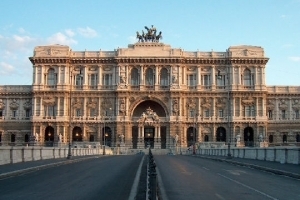 The Italian law does not establish who are the family members entitled to the compensation. However, according to the criteria adopted by the Italian courts for compensation, the relatives entitled to compensation for loss of family relationship, are the spouse, parents, children, brothers and sisters, and sometimes also the grandparents. About the unmarried partner of the victim, he/she is equally entitled to compensation. If you need assistance for a fatal car accident in Italy, don't hesitate to contact us (click here: Lawyers in Italy). Fatal car accident under the Italian penal code. Fatal car accident attorneys in Italy.